Turkish Prime Minister Binali Yıldırım speaks during the vote in the Turkish Parliament about snap elections in Ankara, Turkey, April 20. 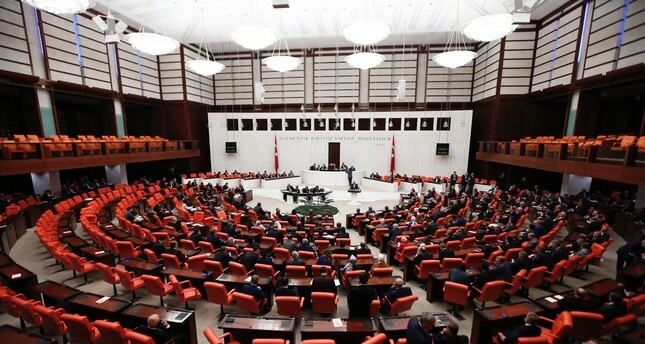 Earlier this week, the Turkish Parliament voted in favor of a motion to hold early elections. The decision marked the beginning of a 64-day campaign period. Although all elections are important in Turkish politics, the June 24 election will be particularly crucial. First of all, the presidential system will become fully operational after the election. Moreover, the vote will end the period of turbulence, which started in 2013. Between May 2013 and July 2016, Turkey was under constant attack. The night of July 15, 2016 marked the zenith of those assaults. The period between July 2016 and June 2018, in turn, set the stage for Turkey's confrontation with domestic and foreign players fueling turbulence within its borders. A number of key decisions related to the fight against terrorist groups, such as FETÖ and PKK/YPG, and the adoption of a new system of government, were made during this period. Although global and regional turbulence might continue after June 24, it is highly probable that domestic politics will become stable and consolidated. Ahead of the elections, however, it is clear that the various political parties and stakeholders face many unknowns. Even the AK Party, which is arguably better prepared for the race than others, faces a certain level of uncertainty. Although President Recep Tayyip Erdoğan will presumably win the presidential election in the first round as the joint candidate of the Popular Alliance, it remains unclear how the idea of "alliance" will impact the parliamentary elections. At this point, there is talk of increasing volatility between the AK Party andNationalist Movement Party (MHP) bases since both movements share a number of native and national values. The June 24 elections will be the first time when two distinct political parties will form an alliance without dissolving their own institutions. In this sense, supporters of the AK Party or the MHP could vote for the other side of the alliance if they are unhappy with their own party's parliamentary candidates. This is obviously a concern for the AK Party, which is the larger partner within the Popular Alliance. As a matter of fact, President Erdoğan recently warned AK Party parliamentarians against overconfidence and straying away from the cause. He added that the "lines" between the AK Party and the MHP must be observed carefully: "There advantages and disadvantages of two elections being held simultaneously. Erdoğan's name could be seen as an advantage, but it could also turn into a disadvantage. Let us not lose our votes to the MHP as we try to form an alliance. Tell voters to be aware that they are being careful as they cast their votes." Again, it remains to be seen where conservative Kurds stand on the alliance and counterterrorism operations. Likewise, it is difficult for all parties to find suitable candidates for Parliament within two months. As such, professional politicians who are already well known have a better shot. But having disgraced individuals on their lists could result in volatility. The inability of unelected party chairmen to serve in the Parliament, in turn, will have a profound impact on political culture. For opposition parties, the main challenge isn't to find presidential candidates. By the time this piece went to print, no less than two Republican People's Party (CHP) politicians had announced their candidacy. The main problem is to find a candidate who can qualify for the second round against Erdoğan. In this sense, the CHP remains the key player. Without the main opposition party, there can be no joint presidential bid. Therefore, the CHP leadership must decide without delay whether they will support a joint ticket, nominate chairman Kemal Kılıçdaroğlu or another one of its members. Over the next days, all options will be quickly evaluated. For the CHP and the Peoples' Democratic Party (HDP), forming an alliance for the parliamentary election is much more challenging. The HDP, whose marginal position makes it difficult to be considered for partnerships, will try to keep its own votes. Neither the CHP nor the İYİ Party can anticipate what an alliance with HDP could mean. Meanwhile, fringe parties including the Felicity Party, İYİ Party and others have no choice but to join alliances. I am aware that I talked about many challenges and uncertainties. What will make things easier for political parties, in turn, are campaign topics. We will simply see the same topics as the April 16 constitutional referendum. Finally, everything - candidates, nominations, campaign events - will be quickly done.